Christopher King is an engineer and artist working in glass, metal, wood, foam and fibers. He produce work from found objects that reflect what he sees in the individual component and what he envisions in the assembly, transforming disorder into creative work – sand and fire into blown glass, found objects into wood and metal sculptures. 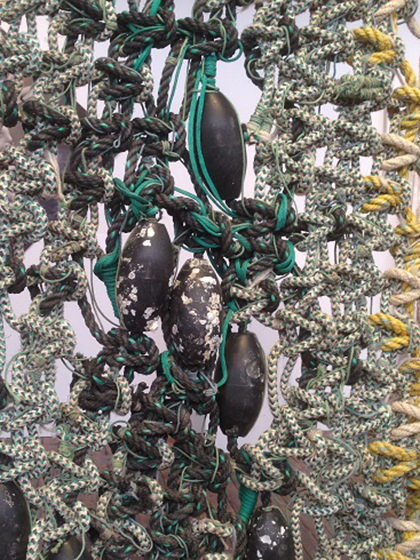 In macramé, collecting and untangling beach rope; laying out, measuring and splicing optimum lengths, washing out sand, drying, setting up, coiling; tying the knots, documenting while making the design reality – Christopher endeavors to improve processes, skill and technique with each new work.